The first one is my favorite of the three, probably because I got to choose the ribbon color! And it’s very easy. 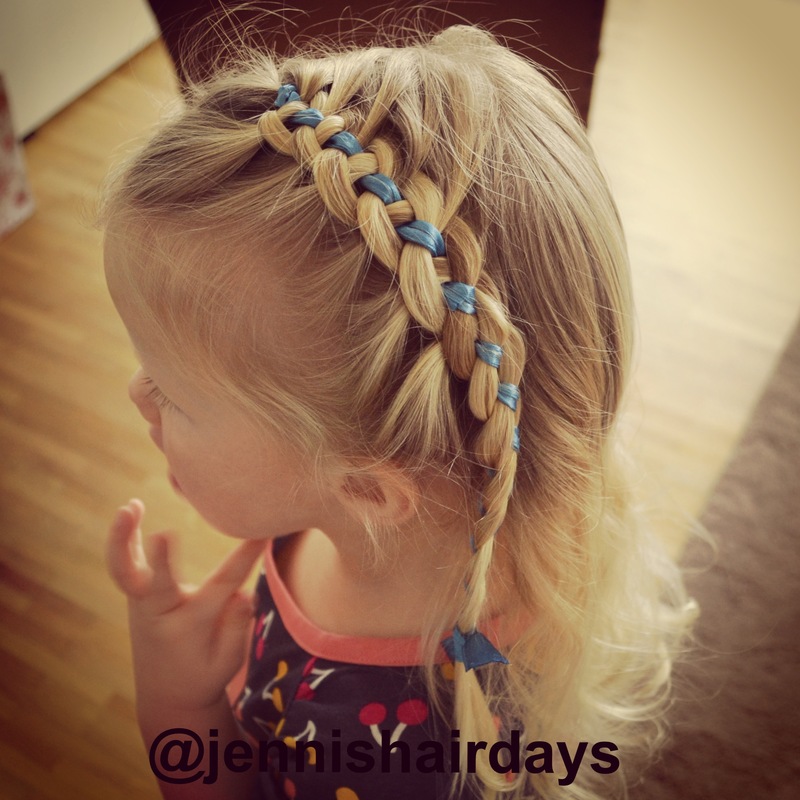 It’s a 4-strand french braid, but one strand is ribbon instead of hair. 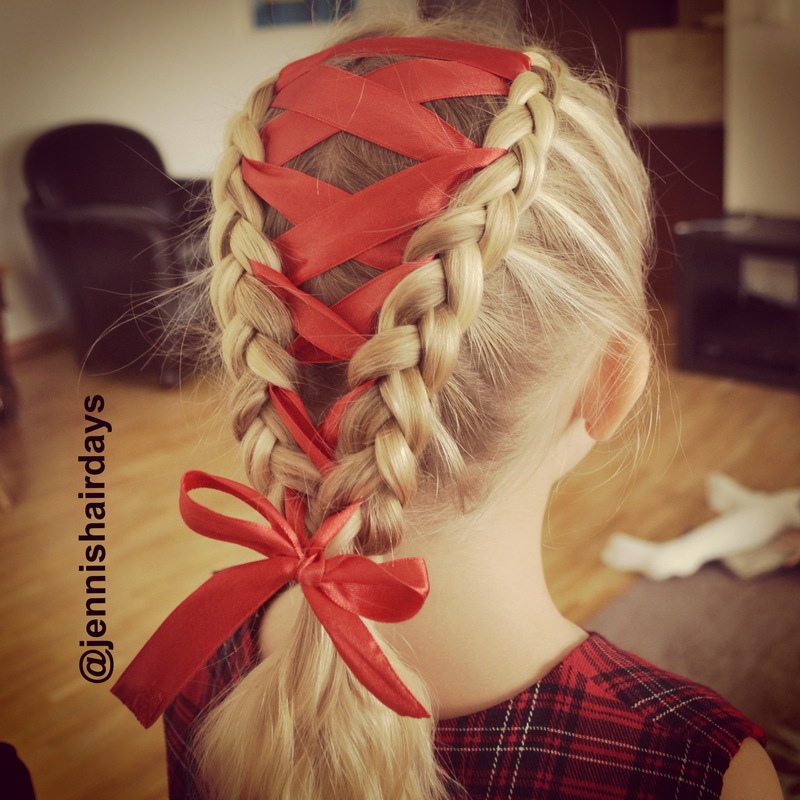 The second one is a bit Christmasy, but my daughter has worn this dress pretty much all the time since Christmas (apart from school), so we did the same color ribbon… For this hairdo, I did two dutch braids and then threaded the ribbon through with a help of a bobby pin. The last one is definitely over the top, but she absolutely loved this style, so what can I say! 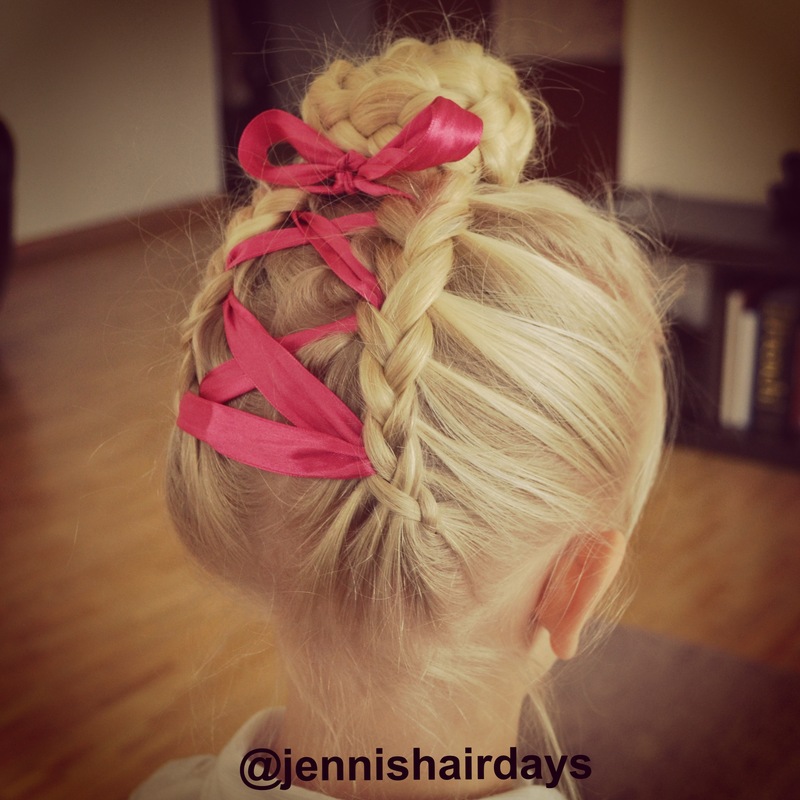 It was quite difficult to do the two up-side-down dutch braids and the bun, but the ribbon was quite easy to thread through the stitches of the braids. These styles lasted well through the day, and the girls went to bed with them. We’ll have to wait and see how much fixing I need to do in the morning, but they want to have the ribbons for school and kindergarten tomorrow!